Vishleshan – Business Analytics Club IIT Kanpur, is organizing a 3-day long Analytics workshop on 28th, 29th and 30th March, 2014.
Business analytics Quiz – Student teams from top B-schools and corporates will work their brains out for a 30 minute quiz. The questions of the quiz will range from Probability & Statistics, current affairs in the field of analytics and caselets. The quiz will be an online event which will be hosted on www.ambitionme.com website. The quiz will be closed on 28th March 2014.The participants can take part in teams of two. 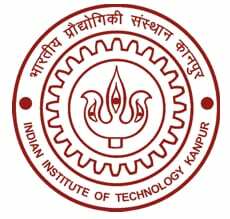 The top 3 teams will get certificates of merit signed by the IME department of IIT Kanpur. SAS workshop – A day long SAS workshop conducted by eminent faculty of Industrial and Management Department. The workshop will provide a hands on experience to the students to work out real life business problems. Video Conference Symposium – Experienced professionals from analytics industry will share their vision about the future of the industry, how analytics is used in businesses, and how young graduates can prepare for a career in this domain.